Redwood Creek Overlook is a vista off of Bald Hills Road in Redwood National Park. It’s one of the best places to go during what could be called storm clearing weather. 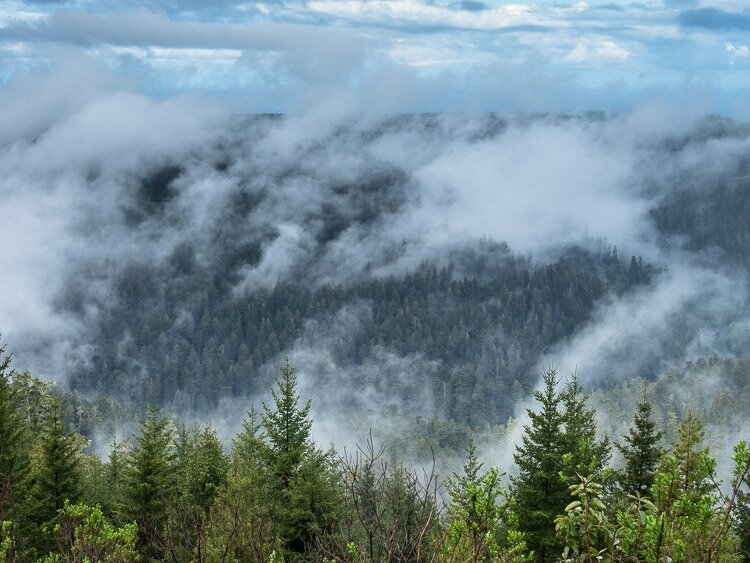 Under such circumstances, it is not uncommon to find strands of clouds draped against ridges of redwoods. Here are some images illustrating the scene from the overlook when you have clouds clinging to the sides of the adjoining hills. Some of the images were taken after a winter storm.